Butter the sides of a large pot. This will prevent seed crystals from forming on the side of the pot. Add all ingredients (except for butter) to pot and attach candy thermometer to side. Make sure thermometer does not touch the bottom of the pot, but is fully immersed in the liquid. Over med-high heat, stir the mixture constantly until it comes to a boil. Once it begins to bubble, stop stirring the mixture. 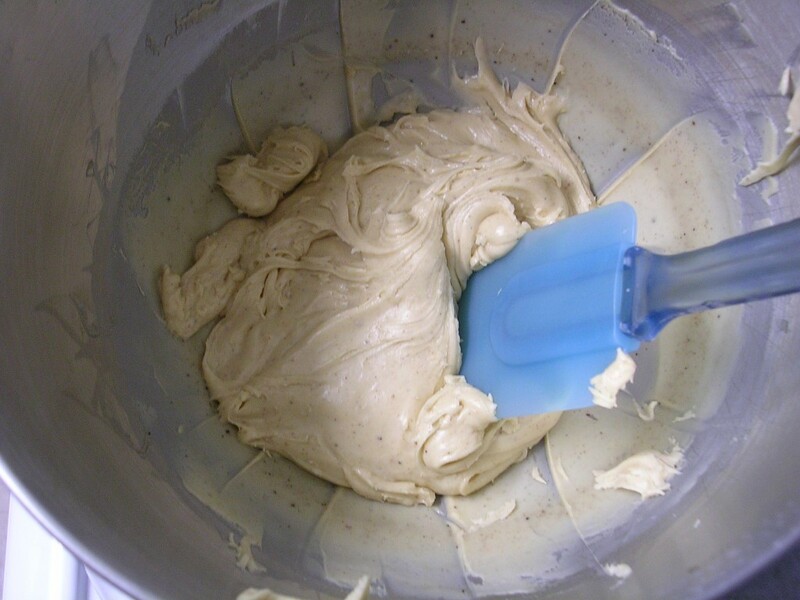 Allow to mixture to reach the soft ball stage (238 F or 114 C.) This should take under 10 minutes. Remember to use the cold water test because candy thermometers are not the most reliable pieces of equipment. Remove from heat. Add butter but DO NOT STIR. Adding the butter at this stage allows the sugar crystals to dissolve properly in the liquid. 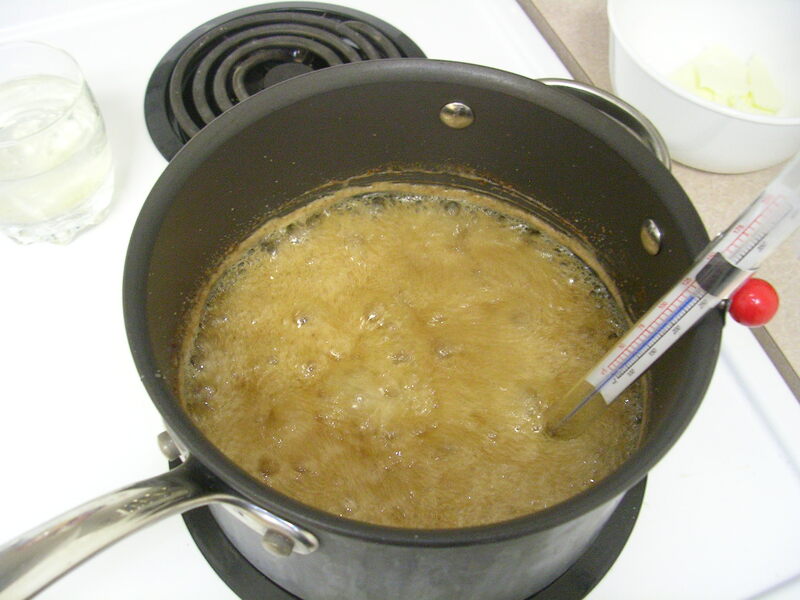 If you add butter before the mixture reaches a boil, this can result in premature crystallization. 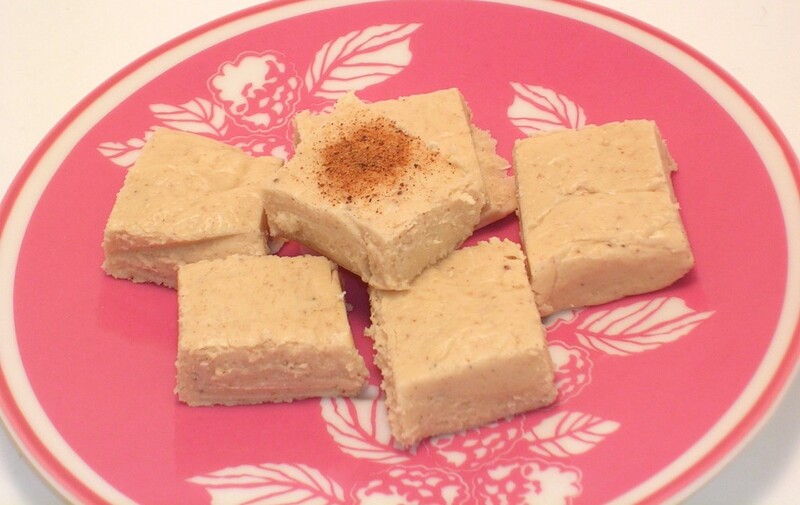 Beat the mixture until it thickens to a fudge-like consistency and becomes dull. 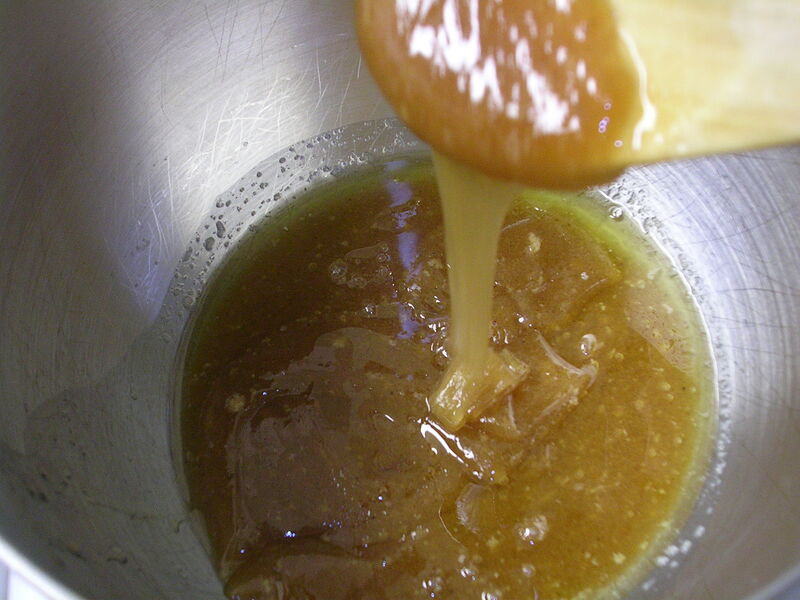 The mixture should not look glossy anymore. It took me a long time to achieve the right consistency using a Kitchenaid mixer (~15 min.) I would not recommend doing this by hand. You can see that it is much thicker and lighter in colour. Once the desired texture is achieved, transfer the fudge to a butter/wax paper lined dish. Allow to set in fridge. If you aren’t successful, you can always use a failed batch for making homemade egg nog lattes!